In this article, I will share with you a robust and repeatable workflow that will ensure that each time you use an ND filter you'll get great results. 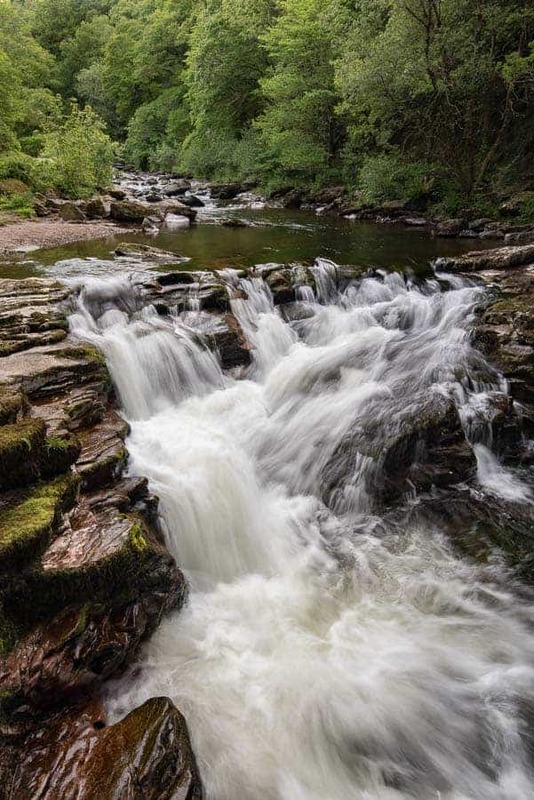 The Neutral Density (ND) filter remains an essential piece of equipment for many photographers. Their use can extend exposure times to several minutes and can make focusing and exposure tricky, so having a solid workflow for their use is essential. Are Filters a Thing of the Past? For most landscape photographers the inclusion of filters in their kit bag is almost as important as a good tripod. Even with the dynamic range of modern sensors, there can still be the need to reach for a neutral density graduated filter to balance the exposure and prevent the highlights being clipped in the sky. The blending of multiple exposures in post processing has become very popular but many photographers still like to “get it right in camera”, choosing to spend less time on the computer and more time in the field. 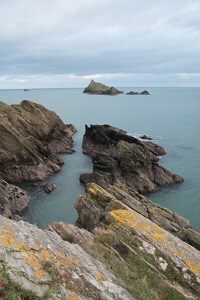 However, the effects of using a ND filter or a polariser are either very difficult or impossible to replicate in post-production. Effects like this are either very difficult or impossible to create without an ND filter. The purpose of the ND filter is to reduce the amount of light entering the camera through its lens. The filter, normally square in shape, is a darkened piece of glass (or other material) that sits in a filter holder attached to the lens. Though there are circular ND filters that attach directly to the filter thread of the lens, these are typically used by videographers as the strength of the filter can be varied by rotating it, allowing greater control when aperture and shutter speed must be fixed. ND filters come in a variety of strengths including 3 stops, 6 stops, 10 stops and even 15 stops. Each stop reduces the amount of light entering the camera by half, so exposure times can vary from a few seconds to a few minutes. Used correctly, and for the right reasons ND filters can smooth out water, give rivers and waterfalls an ethereal look, make clouds streak across skies and even make moving objects like people disappear. The ND filter isn’t just for landscape photographers and it can be used in any genre of photography where long exposures are needed such as cityscapes. No matter what type or strength of ND filter you use, the steps laid out in this article will help you use them successfully. Selecting the right strength of ND filter is important. If I'd selected a very strong ND filter for this image I would have lost all the texture in the water. 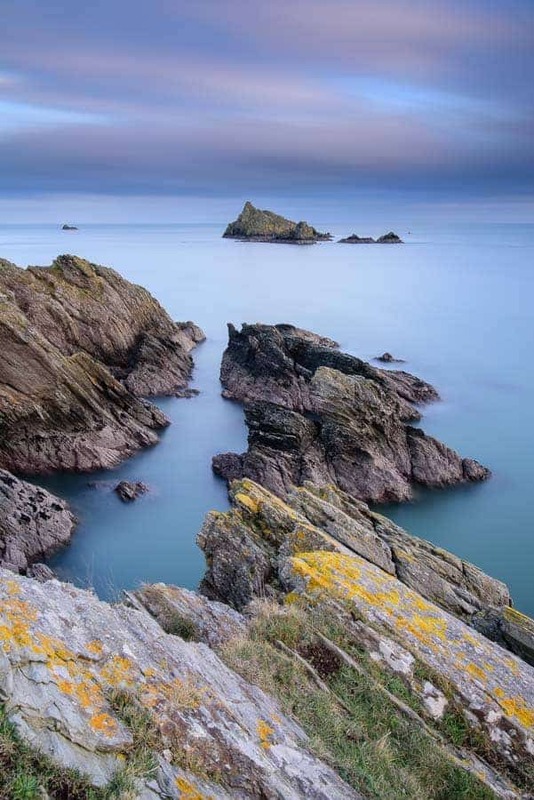 The use of ND filters can extend exposure times to anything from a few seconds to 10 minutes (or more), and with the lack of light entering the camera, it can be difficult or impossible to focus or compose when the filter is in place. No one wants to waste several minutes on an exposure only to spot a problem later when you look at the image on the back of the camera. The light can change very fast, so by following this workflow, you can make sure that when the shutter opens and your long exposure starts you have a good chance that your image will turn out well! 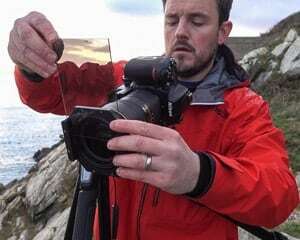 This should go without saying, but before you head out with your ND filter, check it, and any other filter you are planning on using, is free of dirt, grit, fingerprints, sea spray or just dust. Depending on where you are going, the last thing you want to be doing is trying to clean your filters on location. Each manufacturer will have their own cleaning recommendations but a micro-fibre cloth and some anti-static cleaning fluid normally does the trick. If it’s just a bit of dust try a blower. Remember to take your cleaning equipment with you in case you need a mid-shoot clean. The blower is actually rather handy for blowing little droplets of water of your filters so it’s worth taking as well. While it may be possible on some cameras or on really bright days to still be able to compose an image with a strong ND filter attached, I would recommend getting your composition sorted before attaching the ND filter. If the ND filter is attached and each shot takes 2 minutes, you’re going to spend a lot of time each time you fine-tune your composition. Get everything placed in the frame the way you want it and then make sure it’s locked in using a sturdy tripod. My base image. No filters at this stage. Without any filters attached take an image and then check it for sharpness and exposure. 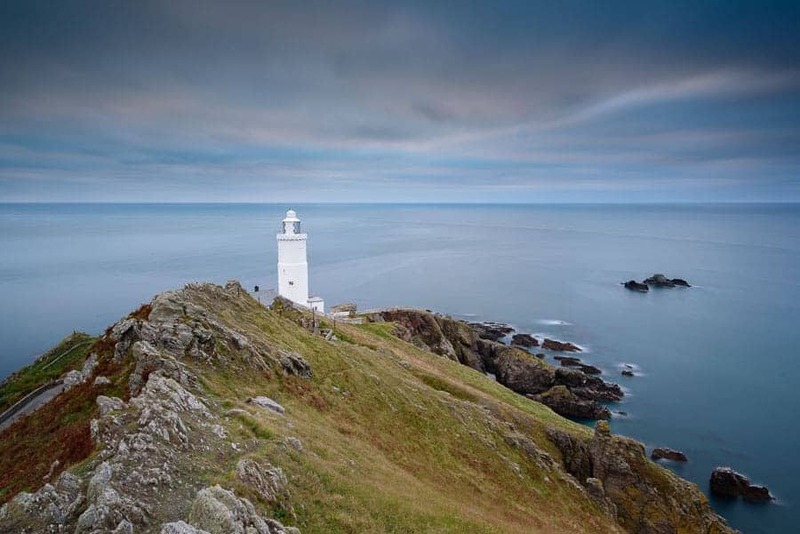 Is the image acceptably sharp in the areas you need it be? Is the image well exposed? Could you expose more to the right, or have you got blown highlights? The idea of the base image is to make sure the fundamentals of the image are correct before adding filters. Though not essential, I would recommend starting out taking your base image in manual exposure mode. You will need to do this later anyway, as adding a strong ND filter will likely prevent the automatic exposure mode on some cameras working correctly. If you aren’t comfortable in manual exposure mode at this stage, don’t panic, just use aperture priority for now and let the camera work out the exposure for your base image. Adding an ND graduated filter to help control the exposure of the sky. 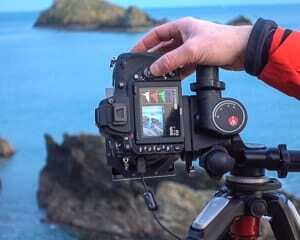 Once your base image is sorted you may choose to add a polariser or ND graduated filter. Perhaps you found that the highlights in the sky are being blown out? Now is the time to add your ND graduated filter. Take your image again and do all the same exposure and sharpness checks. If you added a polariser at this stage you will need to check your exposure again as polarisers tend to also reduce the amount of light entering the camera. Remember to leave the slot in the filter holder that is closest to the lens free for your ND filter. ND filters should always be placed closest to the lens. Time to go to manual mode! Take note of your aperture and shutter speeds from your last image, set your camera to manual exposure mode, and input the same values. You will change the shutter speed in the next step, but it’s handy to dial in your base image values now. Cover the viewfinder to prevent unwanted light leaking into the camera. You will also need to set the focusing mode to manual as well. With the stronger ND filters in place, the metering systems aren't the only automated system on the camera that could struggle. 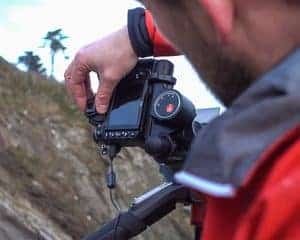 If you are already using Back Button Focusing (BBF) you don’t need to switch to manual focus as the camera’s autofocus is already decoupled from the shutter release. One last thing, it’s good practice to cover the viewfinder of your camera during long exposures. I typically only do this if the exposure time is more than a minute or if the sun is directly behind me but getting into the habit of doing it will do you no harm. Some cameras have a built-in switch to do this, others you have to slot a cover in, but if your camera has none of these either cover it with your hand, tape, or a bit of cloth. Your selection of ND filter is really a creative choice. Pick carefully though as stronger isn’t always better. Rivers and waterfalls typically only need a ½ to 1 second exposure time, whereas cloud movement may need 30 seconds to a couple of minutes. Selecting which ND filter to use comes with experience so you may need to experiment a little. Remember though, use the ND filter with purpose as it won’t make a bad image a good image, but used in the right circumstances it can really change the way a photographed is viewed. 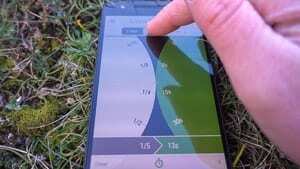 Using an app can help you calculate exposure time. With your choice of ND filter in place, the amount of light entering the camera has reduced so you will need to set a new shutter speed. You can do the math in your head by doubling the exposure time for each stop of the ND you’ve selected, but anything past 3 stops and I’m reaching for an app! I personally use the Lee Filters app as it already has options for 6, 10 and 15 stop ND filters, and it has a handy little countdown timer built in. Generally speaking, if your base exposure was correct, the calculated value should give you a similar exposure in the final image. However, a lot of this will depend on your actual filter. For example, some 10 stop filters might be closer to 9.5 or 10.5 stops, but with experience of your own kit, you should be able to make your own minor adjustments. Where things may not be so straightforward is when your exposure time is measured in minutes and the sun is either rising or setting. At these times of days, the amount of light can vary a lot over the space of a minute. There really aren’t any hard and fast rules here. You will learn from experience to either shorten or lengthen calculated values. If you’re just starting out though, the calculated value from an app will get you great results most of the time! Remember to check your exposure and focus after each shutter release. Yes, finally you get to release the shutter. Either use a short timer to trigger the shutter, or use my preference of a remote release and mirror lock up. If you are using a 3 stop, or maybe a 6 stop ND you typically won’t have to wait too long for your image. You may have to wait a bit longer for a 10 stop image and probably sit down and read another IP blog article for a 15 stop image though. Once the exposure has finished check it all again on the back of the screen. If you followed the previous steps your image should be sharp, well exposed and look great! So there you have it, 8 easy steps to how to use an ND filter. OK at first that may seem a lot of work but I strongly suggest you stick with it. By preparing your camera, settings and composition before adding an ND filter you reduce the likelihood that your last two-minute exposure will need to be repeated because you didn’t check something. Like any good camera technique though, the more you practice with it, the quicker it will become 2nd nature to you. When you get home to process your images you may notice that some ND filters, particularly the stronger 10 and 15 stop variety will add a colour cast to the image. Don’t worry as this can easily be corrected in post-processing if shot your images in raw. Alternatively, the colour cast can be used creatively to set a certain mood for your picture. It’s up to you. The final image. By following the steps I've ensured my image is well exposed, sharp and required minimal processing. Remember to clean your filters when you get back from a shoot. I almost guarantee at some point you will forget to do step 1 and head out without cleaning them first. I’ve done it myself so I’ve got into the habit of cleaning when I get home as well. Finally, if you want to know more about filters and why to use them (rather than the how that I've described), check out Mark's post on Filters 101. Good luck and let me know in the comments below how you get on with workflow and if you have any ND filter tips you want to share. I'm a UK based landscape and live music photographer. If I'm not wandering Dartmoor, exploring the Cornish coast, or even walking in the Highlands of Scotland you'll probably find me out after dark shooting gigs and concerts. I share all my photography adventures through my images, blogs, and videos. See it all on my websites Julian Baird - Landscape Photography and Julian Baird - Live Music Photography where you'll also find links to all my social media channels.